Simply put, this book made me feel a lot of feelings. 22-year-old Charlie Wong works as a dishwasher in a noodle restaurant in New York City’s Chinatown where her father is a noodle maker. The pair along with her 11-year-old sister, Lisa, struggle to make ends meet after the death of their wife and mother eight years previously. Unlike Charlie, Lisa is a gifted student, and Charlie pours the majority of her time and attention into Lisa so she will have more opportunities than her big sister. Seemingly stuck in her dead end job, the novel really starts when Lisa finds Charlie a job opportunity — as a receptionist for a prestigious dance studio in midtown Manhattan. Charlie’s mother was a soloist with the Beijing Ballet before she moved to America with Charlie’s father; before she died, she tried to teach clumsy Charlie how to dance. 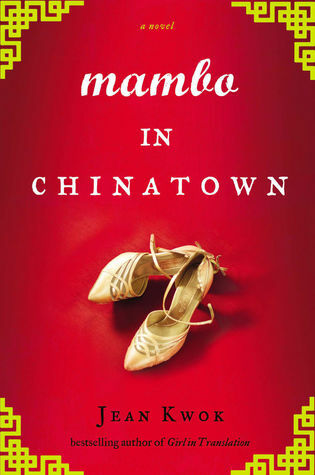 She gets the job at the dance studio and becomes immersed in her mother’s former world. After keeping her new job a secret from her father, Charlie screws up one too many times and gets fired as a receptionist then promptly hired as a fill-in dancer, because the studio lacks a teacher for the beginner-level classes. Dancing seems to heal something in Charlie that she didn’t even know was broken. All of the other professional dancers in the studio say she has potential and she works hard to keep up with the rigorous dance schedule. As her confidence, skills as a dancer and self esteem start to rise, she struggles with hiding her newfound self from her father, who is distrustful of all things Western. Her sister, Lisa, becomes chronically ill and her father insists on using Eastern medicine to treat her, which Charlie disagrees with. I’m absolutely terrible at predicting plot points, so while the end of the book might have been predictable, I really enjoyed it. Definitely would recommend! I might reread it very soon.